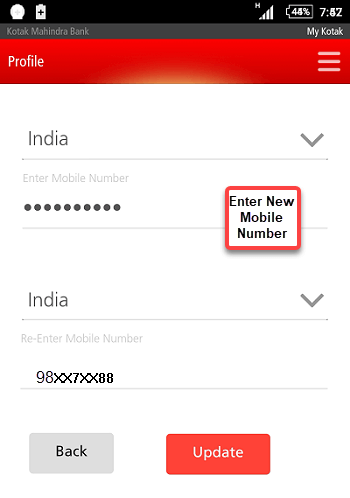 Now you can change your Kotak Mahindra Bank Account Registered mobile number through kotak mobile banking application too. 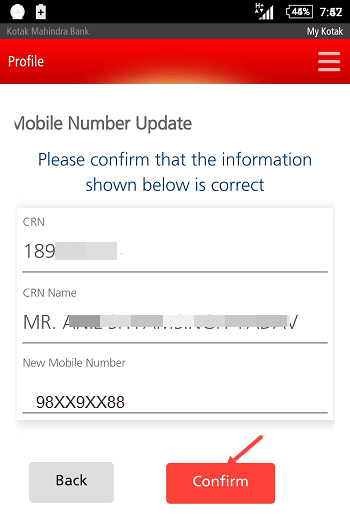 Before this mobile number update facility only available through net banking. Kotak Mahindra Bank is one of the largest private banks in the country. I also have a regular savings account in this bank and have a great experience, especially for digital banking. 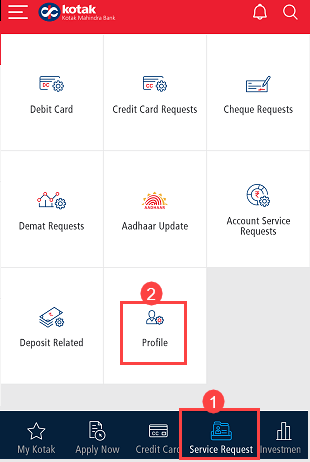 Today I am going to tell you how you can change your Kotak Mahindra Bank account registered mobile number through Kotak Mobile Banking Application which available for Android, iOS, Windows phone platform. 1 First of all you have to login on Kotak Mahindra Mobile Banking Application, if you are not registered with mobile banking then just install kotak Mobile banking application and register your account. 2 After logging in, open Service Request tab and tap on Profile option. 4 Next screen, enter your new mobile number and tap on the update. 5 Now confirm your mobile number, if everything is ok then tap on confirm. 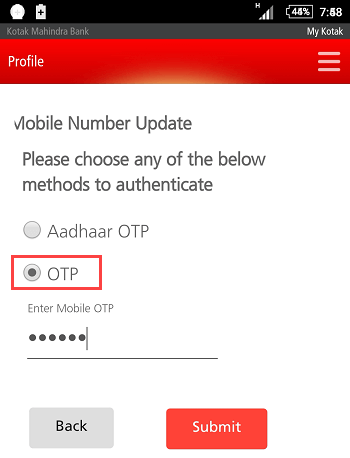 You will receive OTP on your old mobile number that is currently registered with your account, just enter this OTP and tap on submit. 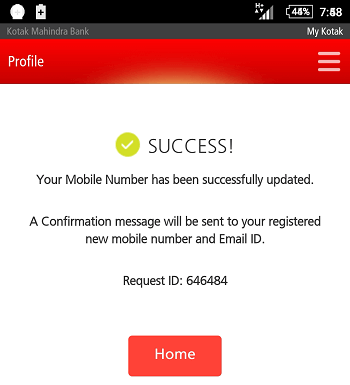 That’s it, you have successfully changed your kotak mahindra bank account registered mobile number thorough kotak mobile banking application. Within 24 hours your mobile number will be changed and you will receive the confirmation message on your mobile. 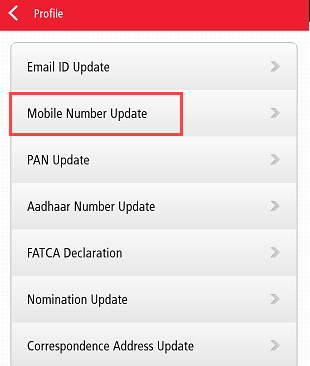 Kotak mahindra bank account mobile number updation facility also available on net banking.